Can nail polish be toxic? Growing up, me being the only girl child in my family my mom often took me with her to get our nails done. She always told me to try and not breathe in the chemical smell of the nail polish and nail polish remover because it was bad for me. Although, I never knew if it was actually bad and if so, how bad it could be for my health. After doing research on this topic, it turns out that almost all nail polish fumes are considered toxic due to the chemicals in it. One chemical especially dangerous to our bodies is phthalates. This is a solvent of colors and is extremely toxic to our nervous system. Two other major chemicals in the ingredients of nail polish are acetone (also in nail polish remover) and toluene, which are not healthy to breathe in for the eyes, nerves, and lungs. It can be hard not to breathe them in when sitting in a nail salon since it is the main fume that goes around, which is why they have mini fans on each station to keep the air flowing where we breathe the most. These fumes that come from those chemicals also put our respiratory systems at a higher risk. Formaldehyde is a skin, eye, and respiratory irritant and is used in nail polish as the hardener and has been found as a link with leukemia. 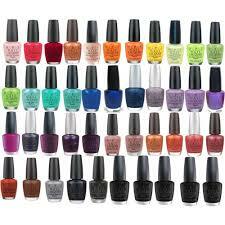 Another harming chemical in the makeup of nail products is called benzophenones and this is said to cause cancer. Although the fact that the intake of benzophenones and Formaldehyde may correlate with getting cancer, it does not technically cause cancer because it has yet to be proven and like we now know from class: correlation does not prove causation. Nail polish and the fume it gives off can be harmful to our health but if it is not used too often and in a well ventilated room it is not horrible. Using nail polish remover is actually worst for you over nail polish due to the larger amount of acetone in it. It is said to only be used twice a month because of this. After reading a study done by Duke University and the Public Health Advocacy Organization Environmental Working Group I learned that our bodies can absorb chemicals straight through the nail polish. The chemical that makes the nail polish stick ( also used in other things to make them less flammable) called Triphenyl Phosphate (TPP) is one of the few chemicals that is not actually known to be unsafe yet, but there are new correlational studies out that this chemical is capable of disrupting people and animals hormones making scientists not settle and watch this chemical cautiously. Due to the danger nail products bring to our health, nail polish companies are beginning to remove some of the toxic chemicals. This does not necessarily mean that they will be safe to use, but it will improve them and make it a bit less harmful to our bodies when breathing it in. This entry was posted in Uncategorized on November 16, 2016 by Justine Gabrielle Barth. This post really caught my eye because my dad used to nag me all the time about painting my nails and the toxins it contains. He would always force me to go onto our screened-in porch and paint them, so that way I would have some outside air coming in as I did it. Also, I bite my nails all the time, and he would yell at me because I would forget and basically be eating the nail polish which is definitely not healthy. It turns out that most of the nail polish in the United States is not checked for safety before being stocked on store shelves. And in California, there were even a few brands that were found claiming to not contain certain chemicals when they actually were. Clearly we need more regulation in this industry if we are going to be painting the nails of the six-year old children that we babysit. This article was very interesting! I just wanted to paint my nails but now I am having second thoughts. I always knew nail polish consisted of horrible chemicals, but I never knew how some of them could go straight into our bodies. I did some additional research on this topic and found an interesting study on the topic of whether nail polish is harmful. The article is about the harmful chemicals in nail polish by Anna Almendrala from the Huffington Post. This article mainly focuses on the chemical called triphenyl phosphate. Like you stated in your blog post, the body can absorb these harmful chemicals every time we put nail polish on our fingers. Almendrala talks about how Triphenyl Phosphate or TPP is used in nail polish to help it adhere to the nail. This is a very common ingredient used in nail polish. The National Institute for Occupational Safety and Health talks about how the chemical is overall safe and is okay to be used in products. Recently there have been a few correlational studies, and scientists and activists are taking another look at this chemical. The Duke study that you talked got a few questions to arise about how the TPP absorption over a period of time. They decided to conduct an experiment. Hypothesis: They are testing whether TPP gets into the body through paint directly on the nail or from particles distributed into the air. The study divided people into 2 groups. The first group got a normal manicure done with the nail polish painted directly onto their nails. The 2nd group wore gloves, and got nail polish on their fake nails. The nail polish has consisted of 1% TPP by weight. They tested urine levels of diphenyl phosphate (DPHP). This is formed when the body metabolizes the TPP. So for the DPHP levels, there was not much of a change for the fake nails. However there was a dramatic increase for the other group who had nail polish directly on their nails. They tested the urine levels 10-14 hours after the nails had been painted. The levels were 7 times higher than before the experiment was done. After 10-20 hours, the chemical started to heavily decrease. From seeing these results, they concluded that the chemical might have had a short term exposure in the body. Almendrala concludes the study saying that there is actually nothing to worry about for the most part. The toxicity in humans is low, and it results in mild irritation. The most dangerous thing it could do is interfere with our hormones. There has been a correlation in animals, but no causation in human beings. So overall it seems like the chemical does stay in the body for about a day’s worth of time. That makes me feel a little better about using nail polish, but acetone still scares me. I am definitely going to find nail polish brands with less chemicals and a non acetone nail polish remover the next time I go to my local drugstore. Almendrala, A. (2015) Yes, Chemicals In Nail Polish Can Leach Into Your Body. The Huffington Post. I could not find the original Duke study, and looking for it led to many online errors. This blog post is clearly extremely relevant because a majority of women have painted their nails at some point in their lives. After reading the post I have a few questions. For one, have there been any proven studies that show nail polish has had a direct effect on one’s health? What type of direct effects does nail polish fumes have someone? Are there any studies showing these effects? Is there a way to prevent these harmful fumes? I’m curious to find out what the answers to these questions could be. Overall very interesting post! A few weeks ago, I saw a friend share a video on Facebook about acrylic nail dipping. It seems like instead of using normal nail polish to paint it on, the nails are dipped into colored powder. This seems like an interesting alternative because it would prevent the toxic fumes you discussed in your post. From an article in Nails Magazine, I read that it is typically done at a salon, and the prices were averaging around $50. As I have never painted my nails, I’m not sure if this is expensive relative to other methods but that could be a possibly drawback. Although, the article does state that they typically last longer and are stronger that typical nail polishes. Overall, this could be an interesting alternative to traditional nail polish. This post is very alarming to me considering my nails are never bare. Its good that nail companies are doing something about it but it scares me how this is happening now after the many years since it has been invented. Triphenyl Phosphate is considered a toxin but I wondered what effects it has on the body so I did some research. Good news is it is not a carcinogen but heres what could happen is you are poisoned with it.